Our passengers are from western NSW and flew into Sydney this morning. They caught a taxi to Balmoral Beach for breakfast. The Craig and Steve our trike riders met them their to start a trike tour Balmoral Beach and more. 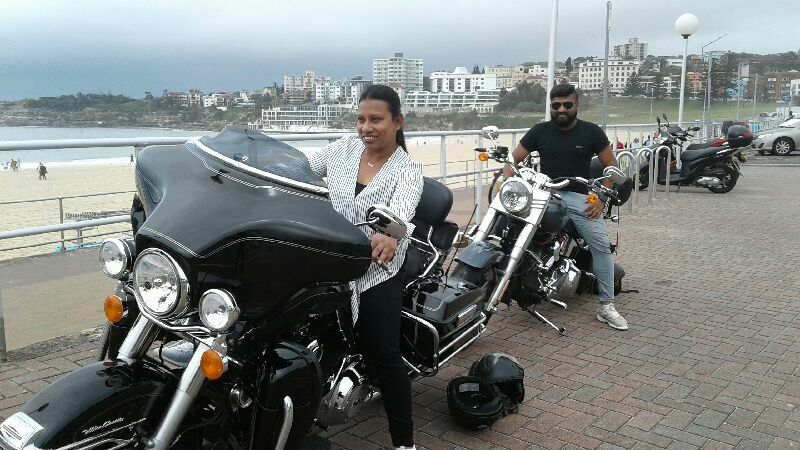 They rode from Balmoral to the lower north shore of Mosman. Next was Cremorne and then over the wonderful Sydney Harbour Bridge and the incredible ANZAC Bridge. Now they are in the inner west of Sydney. 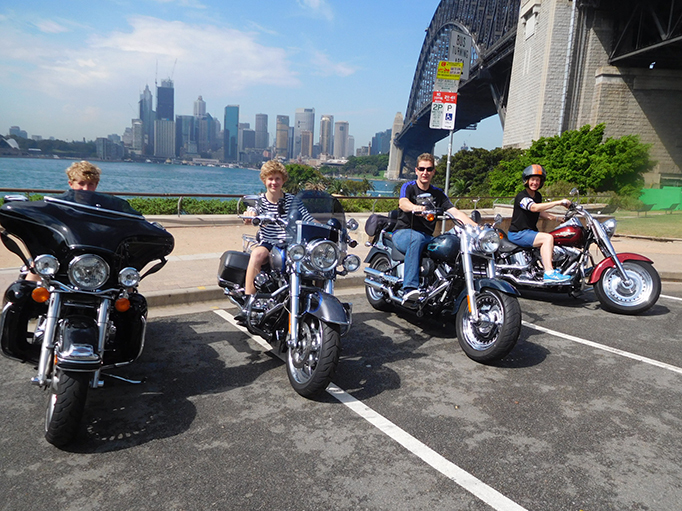 They rode onto Henley Marine Drive and past Birkenhead Point. The final destination was the Drummoyne boat ramp where they hired a boat to go along the Parramattta River and into Sydney Harbour. They had such a fun experience and we can tell their whole holiday will be a lot of fun. 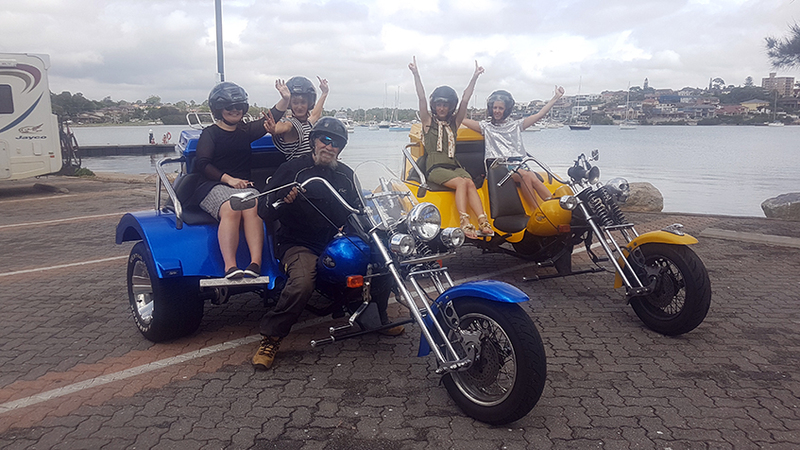 A trike tour Balmoral Beach and beyond is a great experience, contact us for details. Birkenhead Point Drummoyne, The Outlet Centre is Sydney’s largest outlet centre. Located in Drummoyne, New South Wales, Australia, the centre is also home to a marina and apartment complex. Most of the centre is an open space to maximise the views of Sydney Harbour. Balmoral Beach, in Middle Harbour, is a favourite destination for North Shore residents because of its picturesque sheltered beach set against the green backdrop of Middle Head. It is not so well known by visitors and tourists, but the stunning natural beauty of the beach and surrounds make it well worth a visit. The beach is situated in Hunters Bay, which is the first body of water inside Middle Harbour. Although the beach backs onto the HMAS Penguin naval base, it’s hard to see the military buildings because of the forest that covers Middle Head. A stand-out building is the Bather’s Pavillion, an historic white pavillion built in 1928-1929 that enjoys a new lease of life as a cafe and restaurant. It is a rendered brick construction of classic Mediterranean influence with elements and finishes common to the Spanish Mission style.